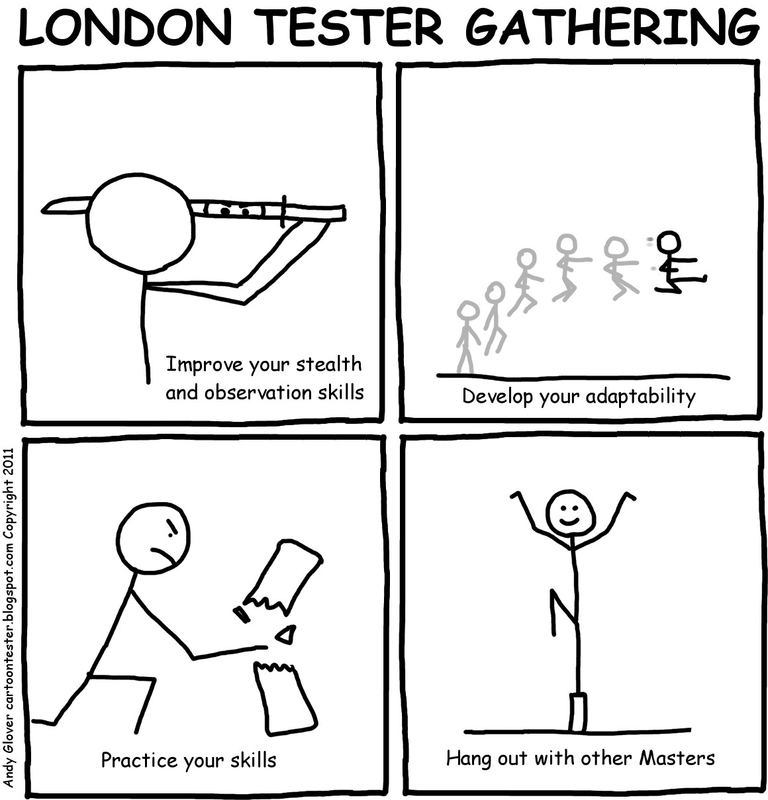 The October London Tester Gathering will be on Thursday 11th October at The Shooting Star. 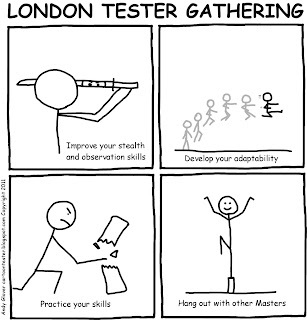 What is the most important skill a tester can have and why? Last year I was at Eurostar helping out with asking attendees a question, video is up now. Thanks to Huib Schoots for the question. A while back I wrote a blog post with a similar theme.